Before I start my post I’m going to tell a little bit about the picture that you see above. That is my daughter, Bee. She’s 4. She lives with life threatening food allergies to a very, very long list of foods. When she is exposed to one of her allergens she can have an anaphylactic reaction. This picture was taken Saturday morning at our local ER. Bee ate her breakfast (at a restaurant where we normally eat) and something was wrong. 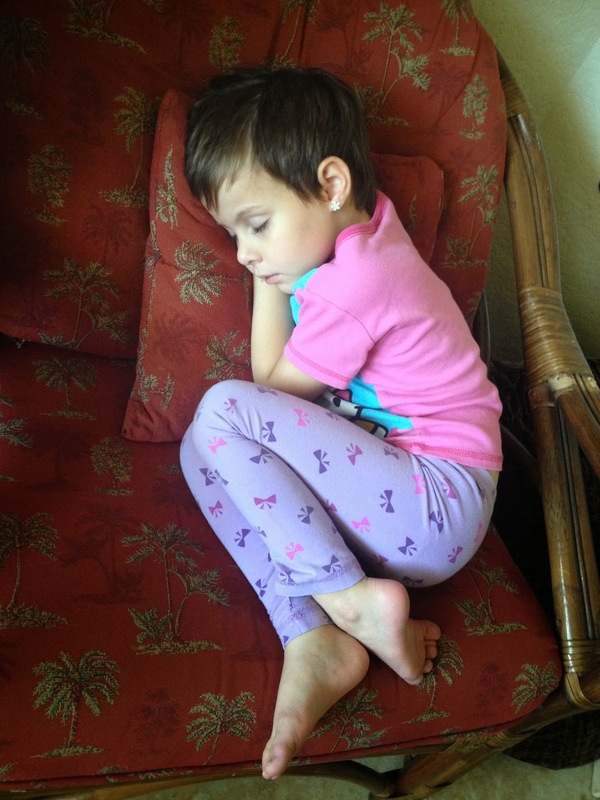 She began sneezing, itching, breaking out in hives, and swelling. An EpiPen was administered and we were on our way to the ER. Once at the ER she was stable and doing well. We spent 4 hours there with her being monitored and watched. We came home exhausted but grateful. So, Bee is doing very well now. Her swelling has gone down and she is feeling much better. 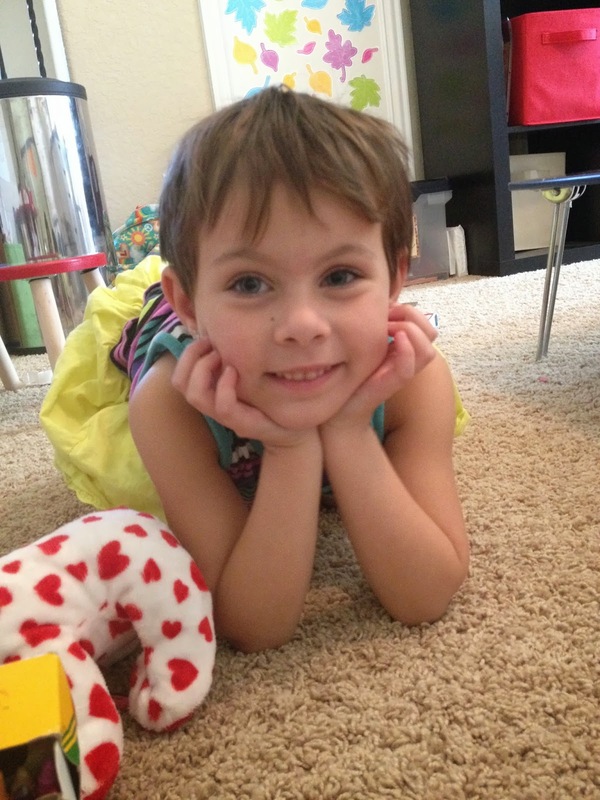 Bee was diagnosed at 8 months old after I realized that something was very wrong with my little one. At 6 weeks old I knew there was something not quite right about my third born. She was fussy, itchy, and miserable. She would not eat or sleep. She was covered in a red, scaly, bloody rash that would never go away. 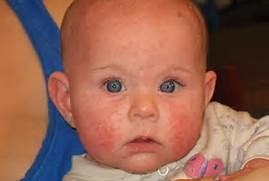 The doctors kept diagnosing her with eczema but I pushed further to understand the root cause of her eczema. I suspected food allergies but all the doctors laughed off my ideas and brushed me aside. After a visit to another pediatrician, during which I tearfully and angrily demanded a blood test for food allergies, I received my answer. Food allergies to everything on that particular test with levels higher than that pediatrician had ever seen. Then I began a search for an immunologist who could help us. We eventually landed at the office of a wonderful immunologist in Houston, TX. With her help we’ve slowly begun to uncover the long list of allergens and little Bee has begun to heal due to her very strict avoidance diet. I’m happy to report that today Bee is a happy, healthy little preschooler who is full of life and does not let the limitations of food allergies stop her. We have made so much progress and I’ve had so much to learn along the way. You can read more about little Bee here and follow our food allergy journey (and read our recipes) at my blog Hives in the Kitchen. I’m going to share with you a few facts about food allergies and the families who have to manage multiple allergies. You can be allergic to any food – not just peanuts. You can be allergic to foods such as bananas or even watermelons. I would never have believed it if I hadn’t witnessed it myself. And reactions to things such as pineapple can be as severe as a peanut allergy reaction. Pineapple landed Bee in the hospital several years ago. A little bit is never ok. Bee can’t have even one teeny tiny bite of her allergens. It doesn’t take much to cause a reaction. Strict avoidance is always necessary. One bite can send you to the ER. Reactions can vary and are unpredictable. An allergic reaction can cause stomach upset in some people and difficulty breathing in others. Not all reactions are the same. They can also be unpredictable – what can start out small can become life threatening in a few seconds. Other reactions seem scary but the hives clear up in under 10 minutes. However, all should be treated with extreme caution. Cross contamination is a problem. Like I said, only a little bit can be a problem. If you put a knife in a peanut butter jar and then in the jelly, that jelly is contaminated and no longer safe. You cannot use the same knife, spoon, or fork. Pots and pans should be washed thoroughly. All counters must be cleaned. Cross contamination can be just as dangerous as actually eating the allergen. A reaction can be triggered just from touching or being in the same room as the allergen – not just eating it. This is called a contact allergy. Some people are so sensitive that even just touching the allergen can cause a problem. Touching an allergen can cause hives and even an allergic reaction. Allergic kids don’t always outgrow the allergies. Some allergies are life-long – especially peanut and nut allergies. But just because those are the most common life-long allergies, that doesn’t mean that the other allergies will be outgrown. Allergic parents are always hopeful that their kids will outgrow the allergies, but we’re all very aware that we might live the rest of our lives terrified of things like watermelon and avocados. Each reaction can get more and more severe. Sometimes there is little or no reaction at first exposure to the allergen. However, with each exposure the body recognizes the allergen quickly and reacts more strongly to it. The reactions can grow in severity each time so you can never judge a reaction to an allergen by a previous reaction. There is no cure and no type of “allergy shot” to treat or cure food allergies. Right now the best course of action is strict avoidance. There are some treatments that are currently being tested but not all kids are a good candidate for the trials – we are definitely not. We don’t know what causes food allergies and we don’t know what will cure them. So if you know any food allergy parents, give them an extra hug and a lot of sympathy – it’s a lot to live with on a daily basis. My little people are very worth it though! Wow, I'm sorry you are going through this. This is such a hard thing to go through and I'm sure its super frustrating too. Keeping you in my thoughts! Thanks! Our little one has a lot of allergies and we have to be alert at all times. It's so hard to watch her when she's struggling. Thankfully she's doing very well this week. I have lots of allergy safe treats for her this week!